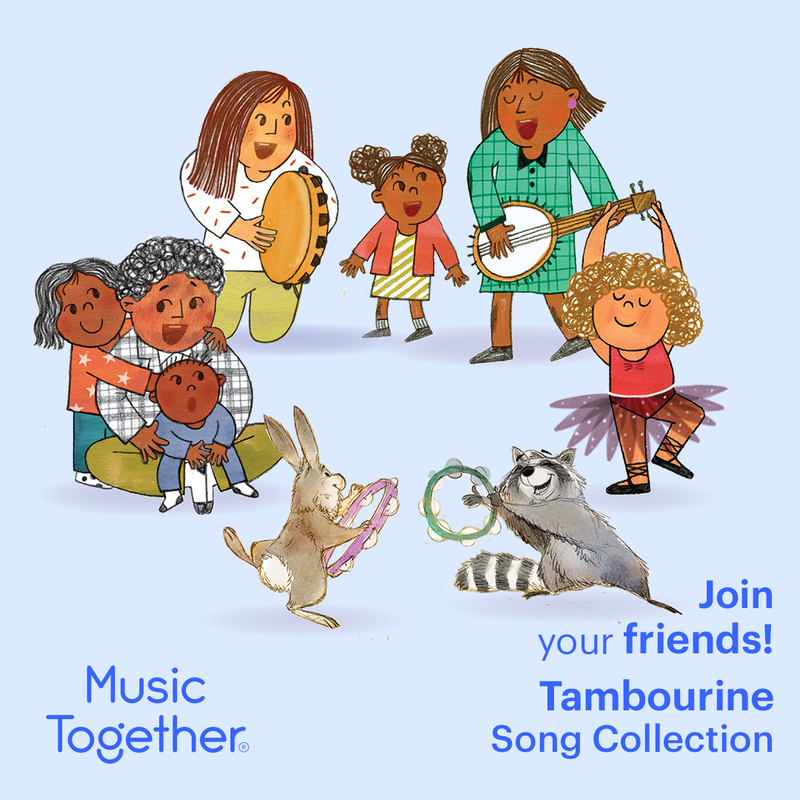 Music Together® has created 12 different song collections for Fall, Winter, Spring and Summer sessions, each complete with a beautifully illustrated keepsake songbook / digital song collection with download inside cover of your keepsake songbook / one CD for car, travel, or home. Music Learning Supports All Learning®®. 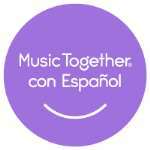 Music Together Con Espanol is now available at our Glendale location for registration! Everyone will sing the beloved Music Together songs in both English and Spanish, while the teacher will speak in English. Bilingual CD included with keepsake songbook. Perfect for families who speak any language interested in singing more in Spanish! Music Together® with Music and Me classes are 45-minutes to Sing! Dance! Play! Learn! These activities are presented as informal, non-performance-oriented musical experiences--developmentally appropriate for children and delightfully easy for parents and caregivers. Free trial classes are always available. A second class choice is required in order to register in the rare case that your first class choice is not available due to unforseen circumstances. 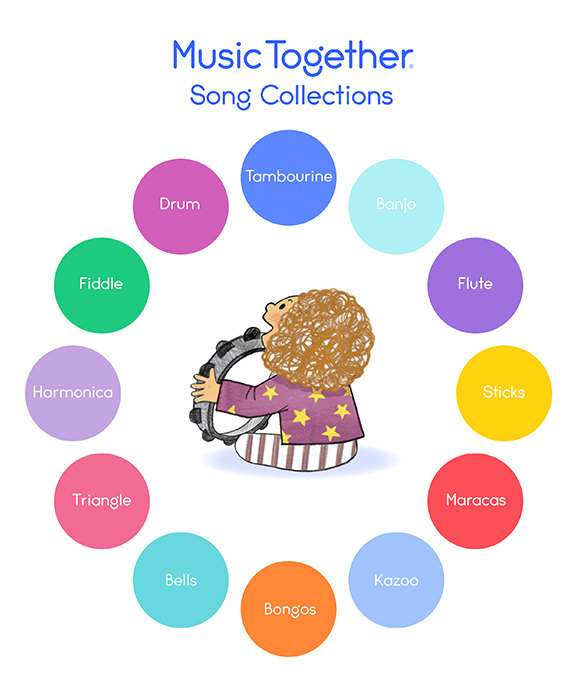 Music Together's twelve song collections—each identified by its own color, instrument name, and graphic—are presented in a three-year cycle. They are non-sequential, so families may join at any semester and attend class for three full years before cycling back to re-experience the collections from their growing children's ever-changing perspectives. Because music learning is cumulative, with children reaping developmental benefits that build over time, we encourage their participation for as many years as possible from infancy through kindergarten. Each semester, families receive that semesters CD, Keepsake songbook with digital download and access to the online family music zone. In addition, families new to the program receive "Music and Your Child" which is A Guide for Parents and Caregivers.